mPhase Technologies, Inc. today announced that it has signed a 3 year CRADA (Cooperative Research and Development Agreement) with the U.S. Army Armament Research, Development, and Engineering Center (ARDEC) at Picatinny, New Jersey. NanoInk's NanoFabrication Systems Division is pleased to announce that the Optoelectronics Research Centre (ORC) at the University of Southampton, U.K., purchased a DPN 5000 System to be used for the fabrication of nanostructured photonic metamaterials, nanophotonics and sensors. Low-field NMR technology offers an environmentally preferable alternative to solvent extraction, a key technique in research and development laboratory work and quality control tests of oil or fat content of foods and seeds. 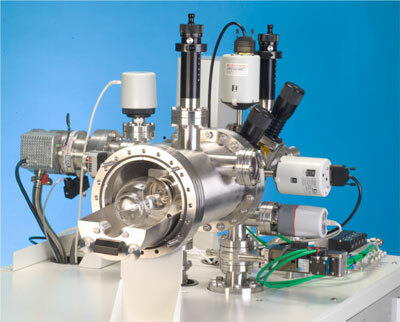 Oxford Instruments Magnetic Resonance, a leading supplier of low-field benchtop nuclear magnetic resonance (NMR) instrumentation is offering businesses the opportunity to test their samples using this green technique at its facility in Concord, Massachusetts, USA and other sites around the world. The conference will be held from February 16-18, 2011 in Tokyo, and is the largest show of its kind with 50,000 participants anticipated. Applied Nanotech will be at booth #E-16. American Semiconductor, Inc. is presenting the industry's first demonstration of a wafer scale process for high performance, flexible, single crystalline CMOS circuits at the Flexible Electronics and Displays Conference on Thursday, February 10, 2011. JPK Instruments, a world-leading manufacturer of nanoanalytic instrumentation for research in life sciences and soft matter, is pleased to announce the expansion of their operations in Asia with new staff in Singapore and distributors in Korea and Malaysia to increase their support to users. SPP Process Technology Systems (SPTS), a leading manufacturer of plasma etch, deposition, and thermal processing equipment for the semiconductor industry today announced it has received a follow on purchase order from CEA-Leti for its Sigma fxPTM Physical Vapor Deposition (PVD) system. Diamon-Fusion International, Inc. (DFI), global developer and exclusive licensor of patented hydrophobic nanotechnologies, announced today it has entered into a strategic marketing partnership with Canadian-based Current Corporation, manufacturers of high-end day and night vision camera systems for commercial, private, high-speed, law enforcement and military marine vessels. Xitronix Corporation, a developer of advanced measurement systems designed to control key process steps in the manufacturing of semiconductors, today announced it has received a final judgment invalidating KLA-Tencor Corporation patent claims against the company. Altatech Semiconductor S.A. has received an order for its versatile AltaCVD platform from the Fraunhofer Research Institution for Modular Solid State Technology EMFT in Munich, Germany. Magnolia Solar Corporation announced today that its wholly owned subsidiary, Magnolia Solar, Inc., has completed the first phase of its intellectual property protection initiative. Over the past year, Magnolia has filed a series of U.S. utility patent and international Patent Cooperation Treaty (PCT) applications. SkinzWraps, Inc. has entered into an exclusive multiyear agreement with Permanon USA to offer Permanon's nanotechnology-based UV protection spray to the vehicle wrap market. The United States Army Medical Research and Material Command, through the support of the Department of Defense Small Business Innovation Research Grant Program (SBIR), has awarded iFyber a Phase I grant. The award funds research related to controlled release of nitric oxide for wound healing. Veeco Instruments Inc. announced today that Shanghai Epilight Technology Co., Ltd placed a large multi-tool order for Veeco TurboDisc K465i Metal Organic Chemical Vapor Deposition (MOCVD) systems during the fourth quarter of 2010. The equipment is for Epilight's new LED fab at Hefei, China for high-brightness light emitting diode (HB-LED) manufacturing. Veeco Instruments Inc. announced today that it has been selected as the primary supplier of Metal Organic Chemical Vapor Deposition (MOCVD) systems by Enraytek Optoelectronics Co., Ltd. (EnRayTek), a new company established to make LEDs for backlighting LED-TVs. Hiden Analytical announce their new purpose-designed HPR-90 precision gas analyser for measurement of the static fill-gas and of the residual gases within diverse vessel types.